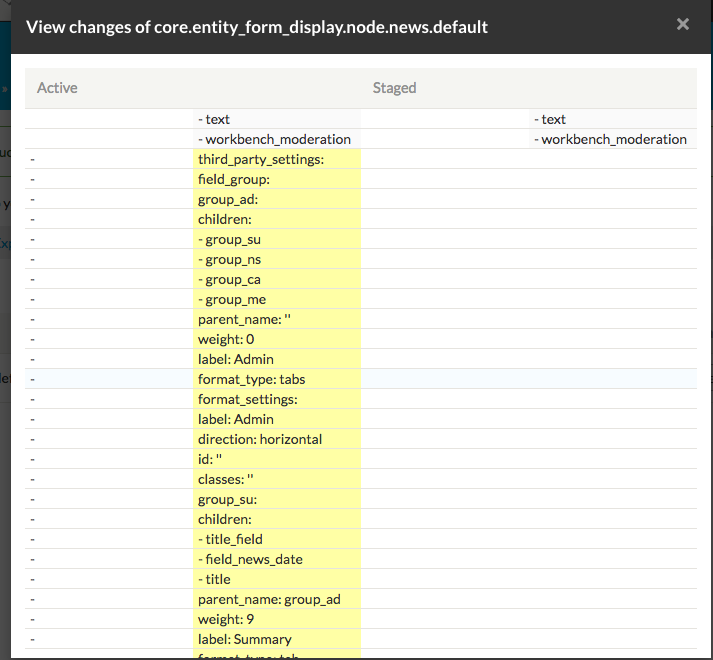 I have some changes in core.entity_form_display.node.news.default. When I run drush cim -y it says it is successful but it actually never imports it. The changes are removing field groups from the form display. If I try to import via UI it also says it is successful but it never gets imported. I don't get any errors in my error log. I tried to make some other configuration changes like changing the site name and it works. It seems to be an issue with Field Group or at least when deleting a field from from a form display. How to properly delete a field collection? How can I be sure configuration is never changed on live system?